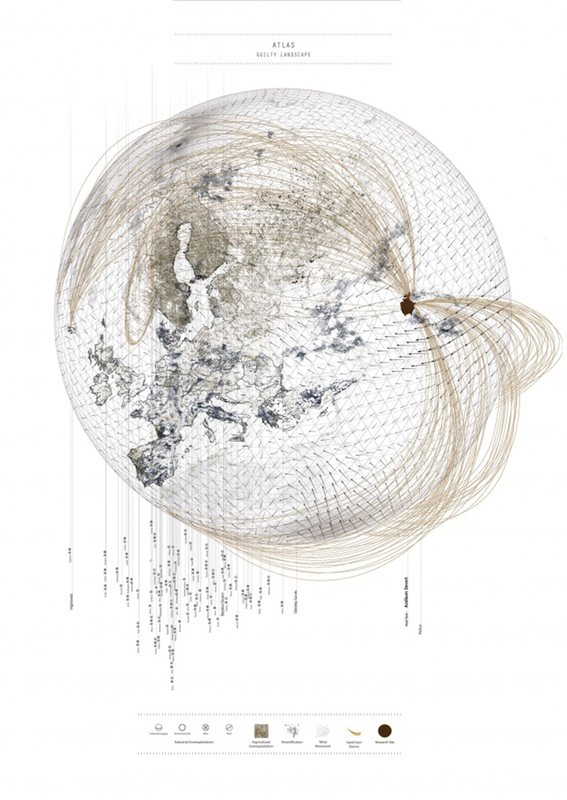 Ed is co-organising, with Alfredo Ramirez (Architecture Association) and Lindsay Bremner (University of Westminster), a symposium exploring ‘Design Agency within Earth Systems’. The symposium invites submissions to look through planetary lenses to reflect upon the complicity of design in the destruction of the planet; to question the two dimensional, land based political technologies, by which we order our lives and our relations to the earth; to explore the material dimensions of air, ground and ocean as intertwinings of socio-political and earth systems; and to imagine relations between socio-political and earth systems differently through design. Speakers for symposium include: Neil Brenner (UTL, Harvard GSD); Stuart Elden (Warwick University); El Hadi Jazairy and Rania Ghosn (Design Earth); Marti Franch (EMF Landscape Architecture) + more. The aim of this call is for proposals to present projects/papers in a format of 10-minute slide presentation as part of a one-day symposium at the Architectural Association on 26 October 2018. Submissions are encouraged from designers, researchers, and writers across all disciplines. – Land ownership and control in urban environments as well as resource exploitation or airspace implications. Format of submission: A4 PDF document with not more than 6 pages in total. Proposals should include 300 words abstract and no more than 5 images descriptive of the proposed project/paper (drawings, diagrams, cartographies, etc. ); please include contact details, affiliation, and a brief CV. Deadline: 07 July 2018 for notification no later than the end of August 2018. Successful applicants will be expected to cover their own costs for travel and accommodation.